Animal transport: where are we now with EU law? [The government] would prefer to see animals slaughtered as near as possible to their point of production and thus trade in meat is preferable to a trade based on the transport of live animals. Whilst it recognises the United Kingdom’s responsibilities whilst remaining a member of the EU, it will be looking to take early steps to control the export of live animals for slaughter as the UK moves towards a new relationship with Europe. Which is why it is critical at this moment to remember that the obstacle in the way of this country reviewing its participation in the trade in live animals is one of the pillars of the EU Treaty: free movement of goods. Animals are regarded as goods, and any measure adopted by a member state government interfering with the movement of livestock within the single market and beyond its borders with its trading partners has been prohibited as a “quantitative restriction” on exports. 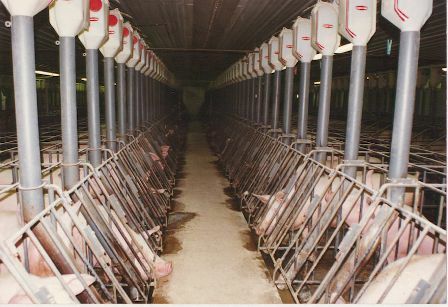 When we are eventually free of this overarching prohibition, no time should be lost in grasping the opportunity to alter our laws in recognition of humane standards in animal husbandry. to restrict the export of veal calves to other Member States where the system described above was likely to be used, contrary to the standards in force in the United Kingdom and the international standards laid down by the Convention to which all the Member States and the Community had agreed to adhere…. the export of calves to face rearing contrary to the Convention is considered to be cruel and immoral by animal welfare organisations and a considerable body of public opinion, supported by authoritative scientific veterinary opinion, in the Member State from which exports occur. In fact the EU rules merely contained stipulations as to the minimum width of veal crates and the composition of veal calves’ diets. When can the courts rule on the legality of future behaviour? Iain O’Donnell of 1COR acted for the Council in this case: he played no part in the writing of this post. This case concerned the application of the law in relation to future conduct, in particular, the role of the judicial review procedure in determining what precisely is meant by the prohibition on the selling of live animals under the Pet Animals Act 1951. This is a detailed statutory provision inspired by welfare and conservation concerns. It has a complicated legislative history, and essentially the judge hearing the application was being asked to decide whether certain future activities might be caught by it. For the record, the statute was introduced to protect the welfare of animals sold as pets. It requires any person keeping a pet shop to be licensed by the local council, which will only license such a business if they are satisfied as to the suitability of the accommodation, nutrition and safety of the animals concerned. Section 2 bans the selling of animals in the street, including on barrows and markets. Councils are responsible for enforcing the law in this area. A fascinating riff has been playing around the London Review of Books since Stephen Sedley (erstwhile Sedley LJ) reviewed a biography of the 18th century judge Lord Mansfield – here – part £, but the excellent letters of response are open access. Mansfield is perhaps best known by commercial lawyers for injecting into the hitherto archaic English commercial law some element of rationality. But he also ended up trying cases involving the ownership of slaves, and had therefore to decide how ownership fitted in with things like habeas corpus. But first a bit of historical background about our man, and some indications of the differing times in which he lived – much of it thanks to Sedley’s review. Human rights for homo sapiens’ closest relatives? On Monday at 10.00 Eastern Time, the Nonhuman Rights Project filed suit in Fulton County Court in the state of New York on behalf of Tommy, a chimpanzee, who is being held captive in a cage in a shed at a used trailer lot in Gloversville. According to the NRP, this is the first of three suits they are filing this week. The second was filed on Tuesday in Niagara Falls on behalf of Kiko, a chimpanzee who is deaf and living in a private home. And the third will be filed on Thursday on behalf of Hercules and Leo, who are owned by a research center and are being used in locomotion experiments at Stony Brook University on Long Island. 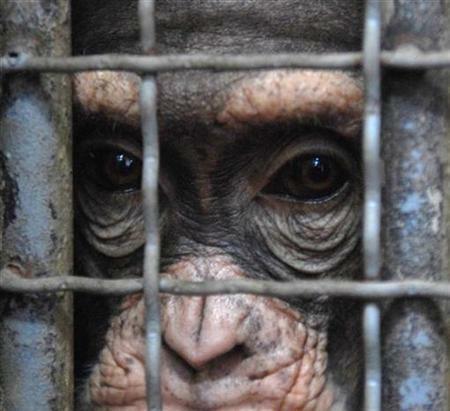 The organisation, led by the animal-rights lawyer Steven Wise, is using the writ of habeas corpus on behalf of the animals to ask the judge to grant the chimpanzees the right to bodily liberty and to order that they be moved to a sanctuary where they can live out their days with others of their kind in an environment as close to the wild as is possible in North America. | Updated (10 December)|: The judge has declined the application for habeas corpus. According to Steven Wise, Judge Boniello said “that ‘I’m not going to be the one to make that leap of faith.’” Yet Boniello, who decided that chimpanzee personhood is ultimately a matter for legislatures to decide, was also “unexpectedly sympathetic”, calling their arguments sound and wishing them luck. “I’ve been in a lot of cases, and there’s not been many where the judge says, ‘Good luck.’ Usually they just say, ‘denied’. Referring to the concentration camps has become an offence on a par with holocaust denial, it seem, in certain contexts. In 2004 the applicant animal welfare association planned to start an advertising campaign under the head “The Holocaust on your plate”. The intended campaign, which had been carried out in a similar way in the United States of America, consisted of a number of posters, each of which bore a photograph of concentration camp inmates along with a picture of animals kept in mass stocks, accompanied by a short text. One of the posters showed a photograph of emaciated, naked concentration camp inmates alongside a photograph of starving cattle under the heading “walking skeletons”. Other posters showed a photograph of piled up human dead bodies alongside a photograph of a pile of slaughtered pigs under the heading “final humiliation” and of rows of inmates lying on stock beds alongside rows of chicken in laying batteries under the heading “if animals are concerned, everybody becomes a Nazi”. Another poster depicting a starving, naked male inmate alongside a starving cattle bore the title “The Holocaust on your plate” and the text “Between 1938 and 1945, 12 million human beings were killed in the Holocaust. As many animals are killed every hour in Europe for the purpose of human consumption”. Three individuals filed a request with the Berlin Regional Court to be granted an injunction ordering the applicant association to desist from publishing or from allowing the publication of seven specified posters via the internet, in a public exhibition or in any other form. They submitted that the intended campaign was offensive to them as survivors of the holocaust and violated their human dignity. I have posted previously on cases involving the ethical objection of landowners to being forced to allow hunting over their property. These objections have generally found favour with the Strasbourg Court in the balancing of private and public interests under the right to property. Mr Chabauty puts the issue into another perspective. He also complained that he was unable to have his land removed from the control of an approved municipal hunters’ association. The difference was – and this proved to be critical to the outcome of the case – Mr Chabauty is not himself against hunting on ethical grounds. Since no conscience was underlying his Convention complaint, the Court found it not to be disproportionate for the French state to require small landowners to pool their hunting grounds. As such, there had been no violation of Article 1 Protocol 1 or Article 14. The Grand Chamber of the European Court of Human Rights has ruled that the obligation of a landowner to allow hunting on his property violated his Convention rights. Although the majority based their conclusion on his right to peaceful enjoyment of possessions, the partially concurring and dissenting opinions and the judgment as a whole provide an interesting insight into the way freedom of conscience challenges are to be approached in a secular society where religion holds less sway than individual ethical positions on certain issues.